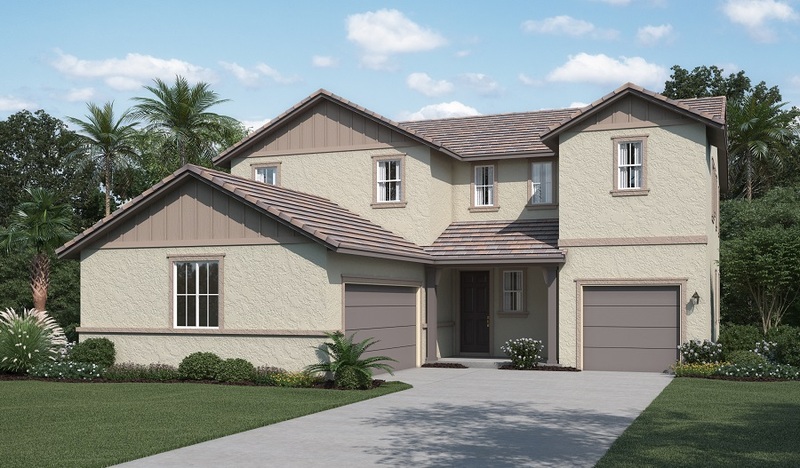 This Thomas model home features an attractive covered front porch, which leads into an impressive two-story entry. From there you'll find a dining room with butler's pantry just off the gourmet kitchen with center island, large walk-in pantry, stainless-steel appliances, premier cherry cabinets in Mocha stain and quartz countertops. The main floor's generous entertaining spaces include a nook with center-open sliding doors, a covered patio and a great room with a floor-to-ceiling tiled fireplace and mantel. An optional bedroom and full bath on the main floor are great for visiting guests or aging parents. Upstairs, there are three inviting bedrooms with walk-in closets, a deluxe laundry and a large loft. This home also comes with a solar package and tankless water heater!